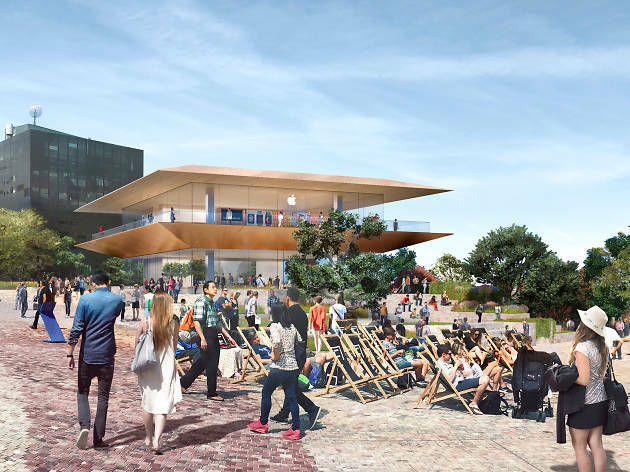 Late last year Apple unveiled plans to build its global flagship store in Federation Square. The response was… mixed, as you would expect. 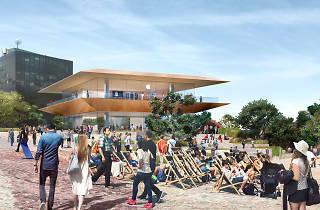 Apple announced that the new Fed Square space would be a two-storey building fully powered by renewable energy and that the project would create 500 square metres of new public space for Melburnians. Apple also announced that the store would bring 2 million new visitors to the square every year as well as giving better access to the Yarra River. On the other hand, this redevelopment would mean that the 15-year-old Yarra building – currently home to tenants including the Koorie Heritage Trust and Melbourne Festival – would be demolished to make way for the new superstore. A volunteer campaign run by Citizens of Melbourne called Our City, Our Square has been especially vocal about their opposition to the Apple store, stating that the store undermines Fed Square’s role as a civic square. The team has been petitioning to get Federation Square onto the Victorian heritage list in order to help protect the square from future redevelopment. This week, they got some good news. Heritage Victoria has placed an Interim Protection Order on Federation Square which basically means that a case has been created to give Fed Square heritage status. This temporary four-month order covers all of Fed Square (including the Visitor Centre, ACMI, the Yarra Building and the newly built digital screen) and will effectively delay any construction projects. No work is allowed to commence while Heritage Victoria and the Heritage Council assess Fed Square’s right to heritage status. The order also states that Fed Square could be under “imminent threat” from the Metro Tunnel construction works in ways that could “detrimentally affect its cultural heritage significance”. The Metro Tunnel works, which are currently underway, won’t be completed until 2025. So the Apple store is temporarily on hold for now. Keep checking back with us for more updates on the matter. In case you missed it, Fed Square new screen has finally been unveiled. Plus, Hisense Arena will soon be renamed.